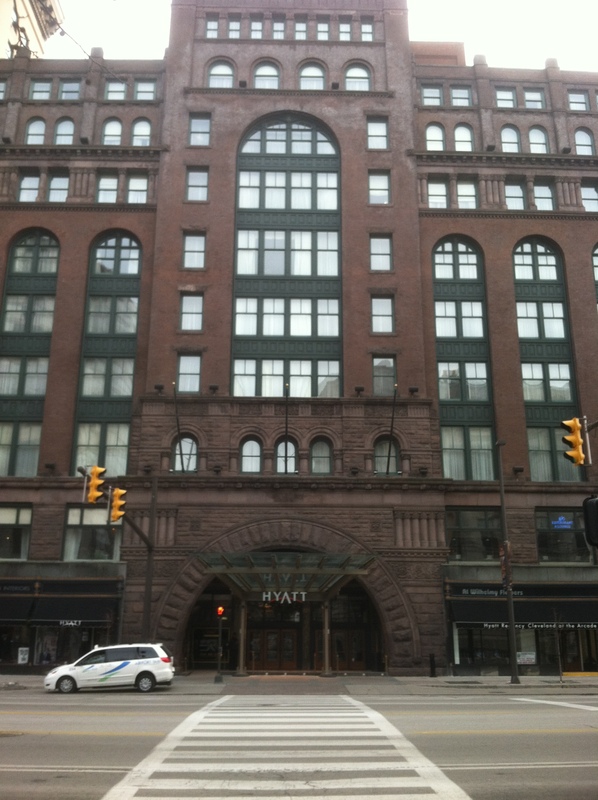 No no, it’s not what you think. 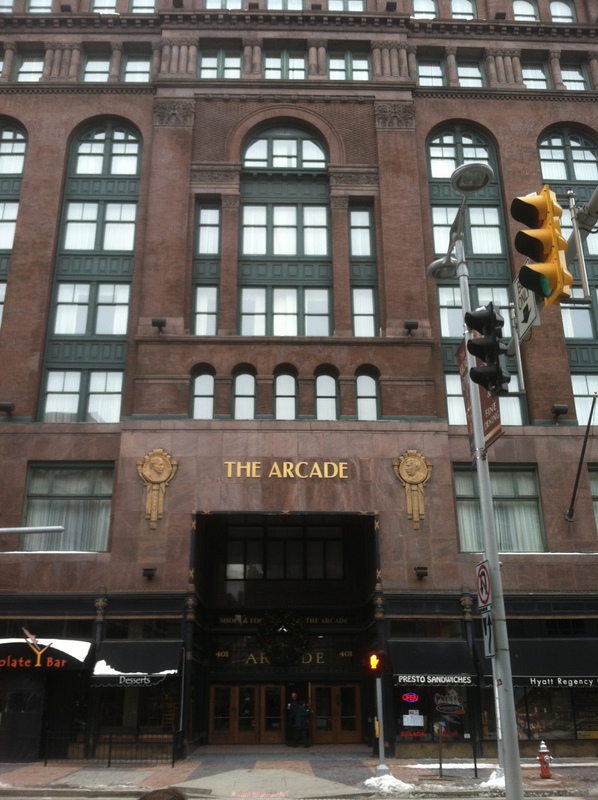 You won’t find any nerds with fanny packs, no embarrassing orthodontic headgear, no Dance Dance Revolution platforms, and no video games in this arcade. 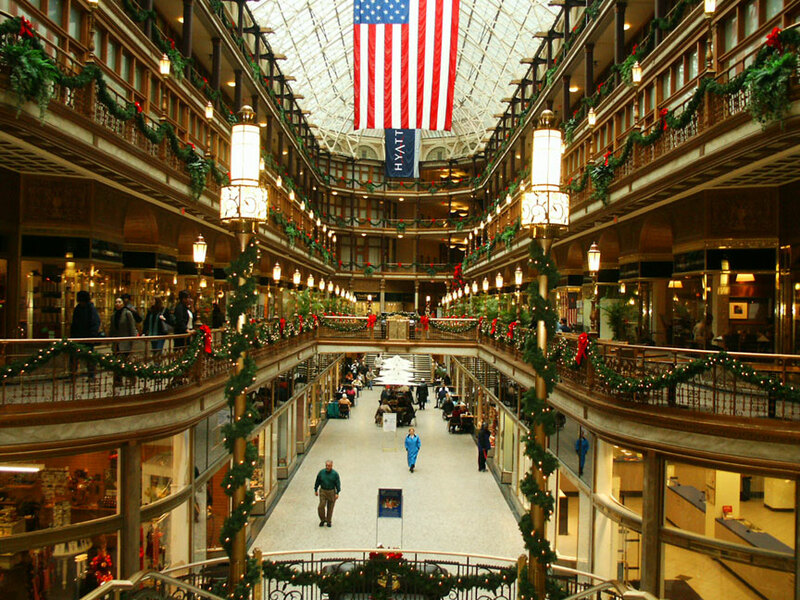 What you’ll find instead is one of America’s first and oldest indoor shopping malls. 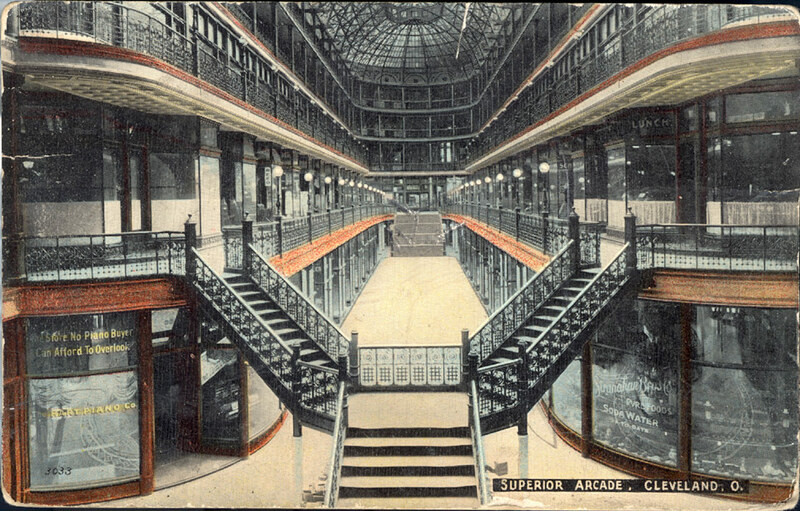 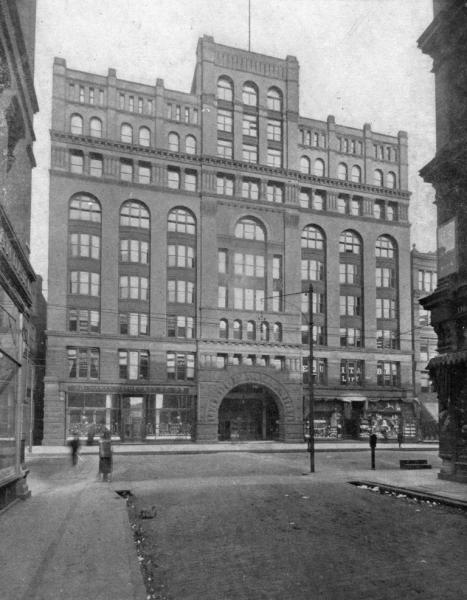 Completed in the spring of 1890, the Cleveland Arcade was financed by Cleveland’s elite and famous – Louis Severance, Steven Harkness, and of course, John D. Rockefeller. 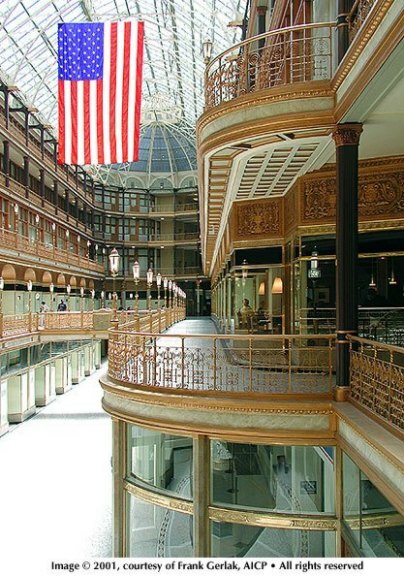 It was the first Cleveland location to be placed on the National Register of Historic Buildings, and the ninth overall in the country. 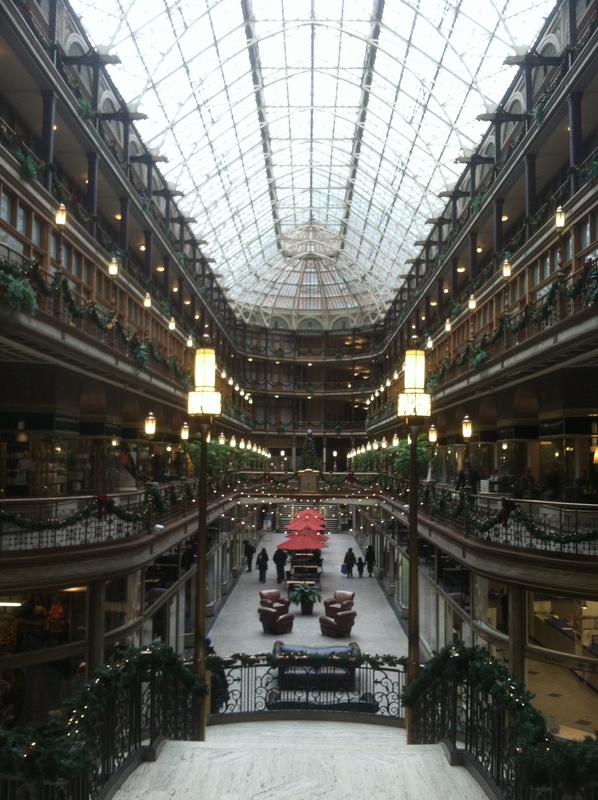 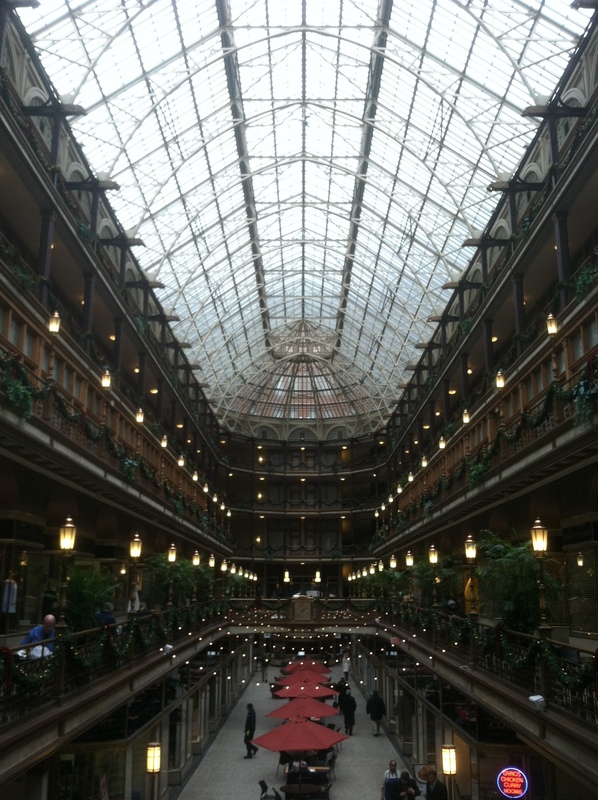 An architectural beauty of Victorian-era design, the Arcade remains a wonderful relic of Cleveland’s storied past. 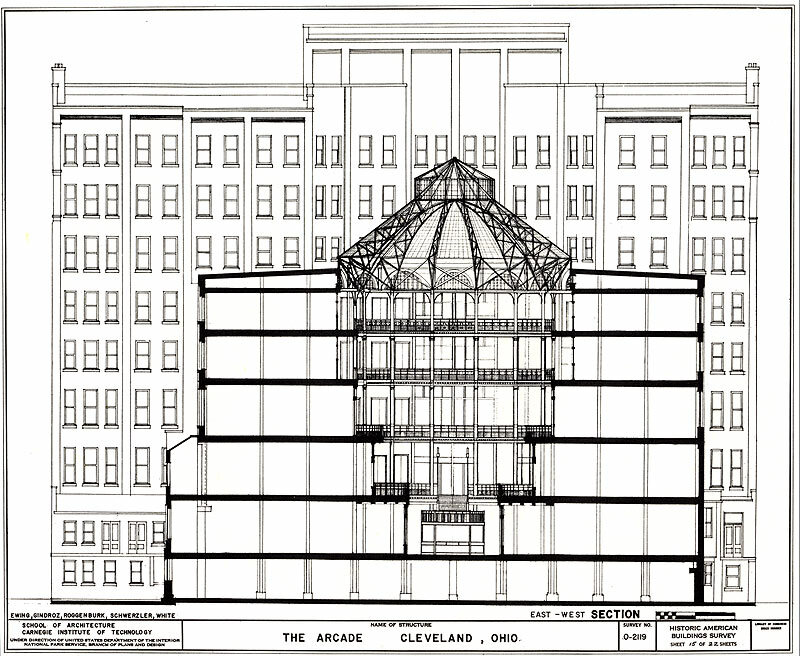 The Arcade connects two of Cleveland largest thoroughfares – Euclid and Superior avenues. 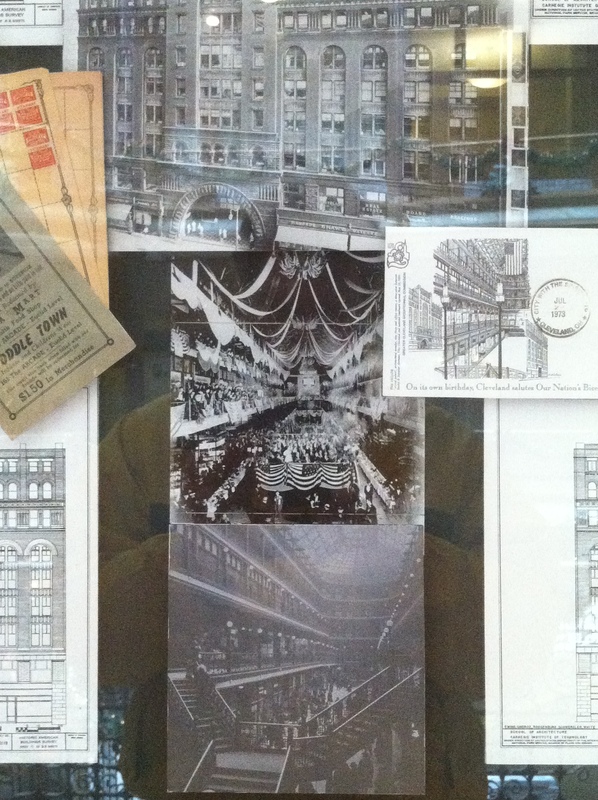 The picture above is from Euclid, the main entrance. 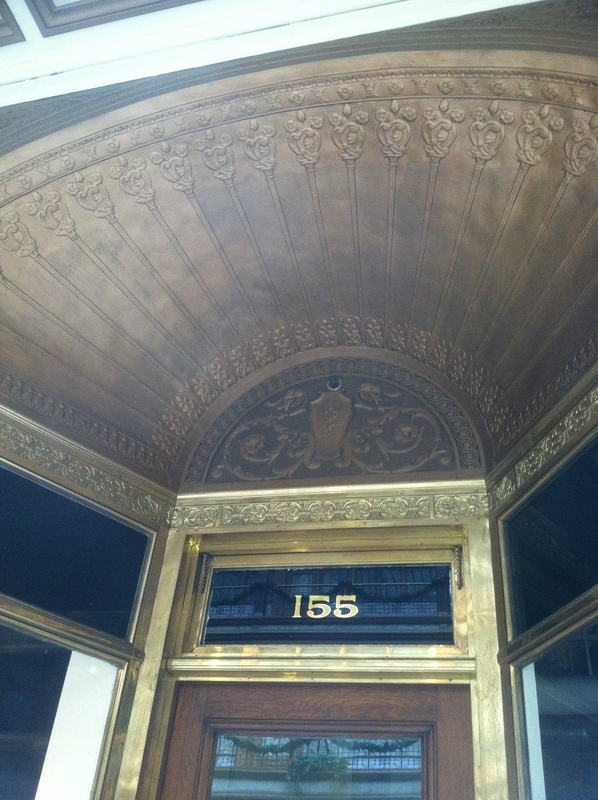 Notice the intricate designs and beautiful trim. 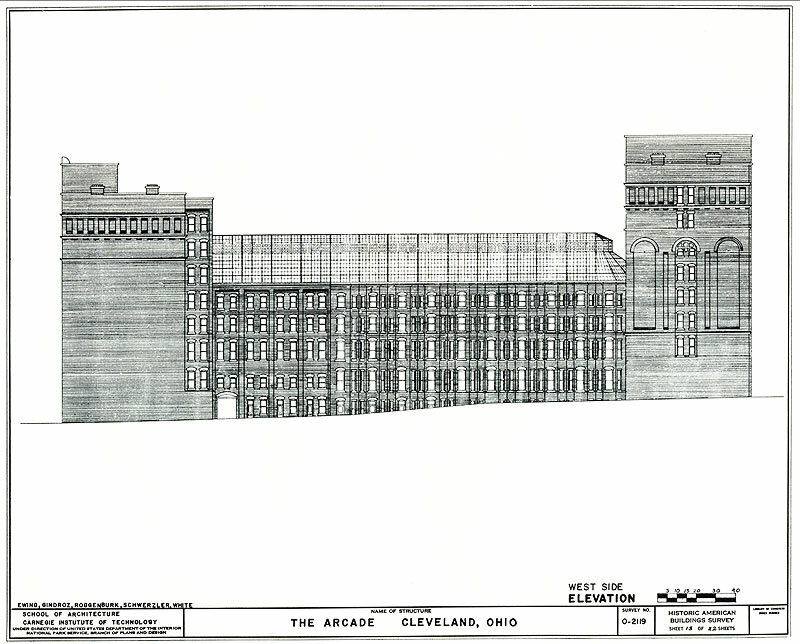 I’ve included several other pictures below that showcase the grandeur and beauty of the Arcade as well as some architectural blueprints detailing the difficulties of connecting Superior and Euclid avenues, streets with different elevations. 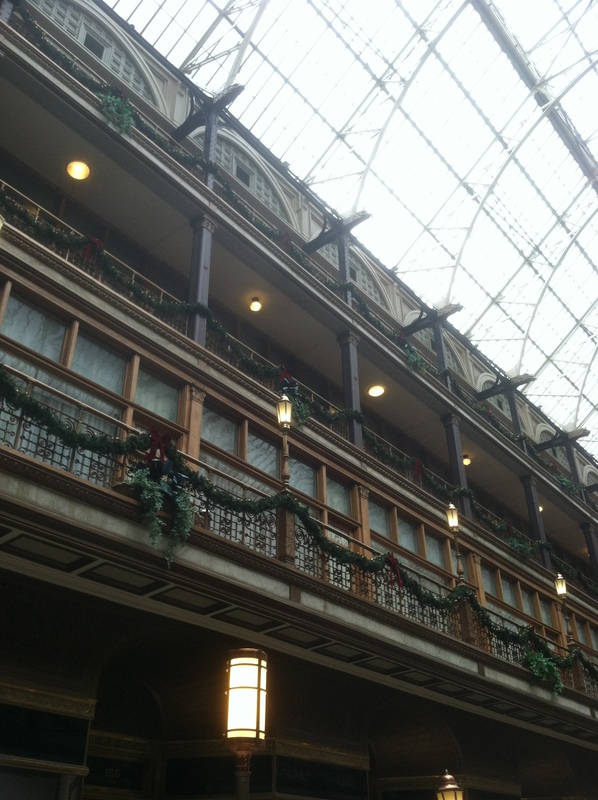 To learn even more about this awesome Cleveland building, check out this great video clip here. 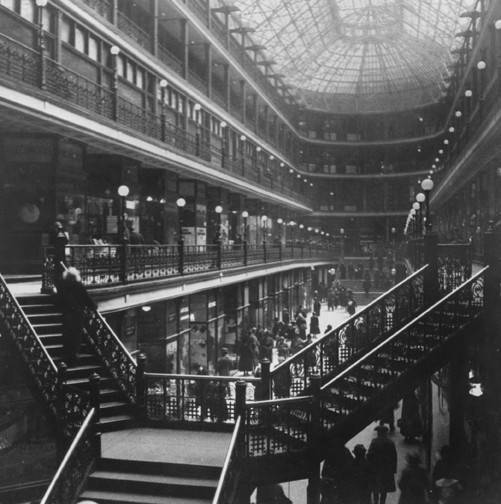 The clip is from an old Travel Channel show titled “Made in America”. 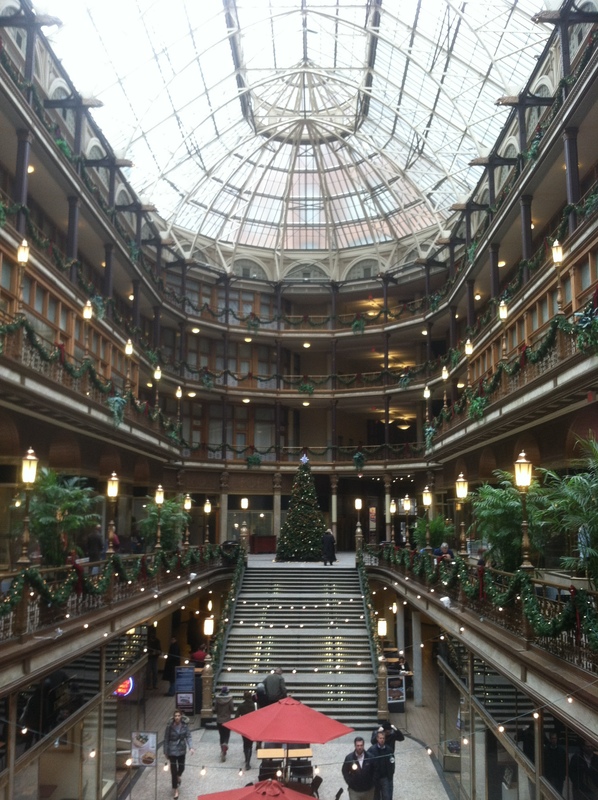 The host, John Ratzenberger, (“Cliff” from the famous sitcom “Cheers”) walks viewers through the interior and overall history of the building. 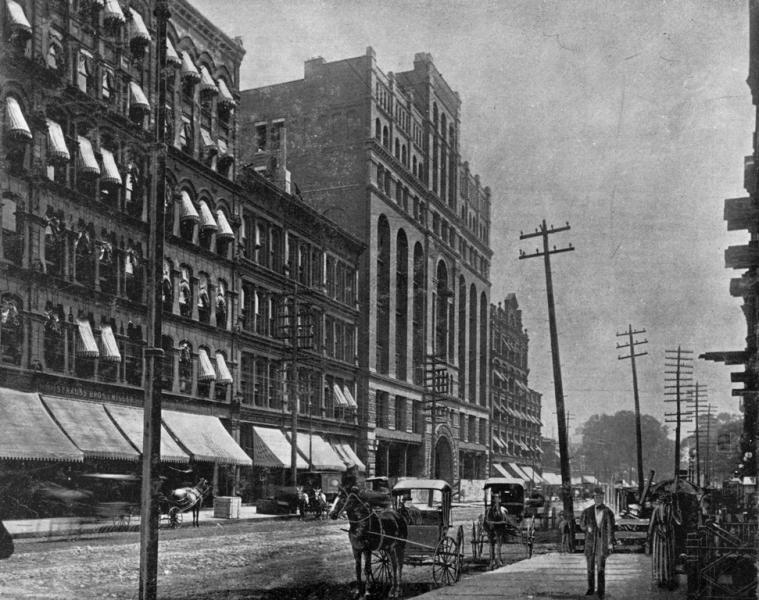 This is my favorite old photo of Euclid Avenue during its heyday. 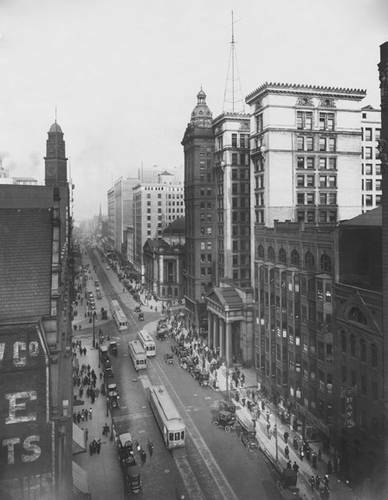 Notice the Cleveland Trust Rotunda at center, peaking behind the tallest building in the photo.